We decided to go for an earlier dinner since we’re an old married couple now, lol, and we were really impressed with the decor. 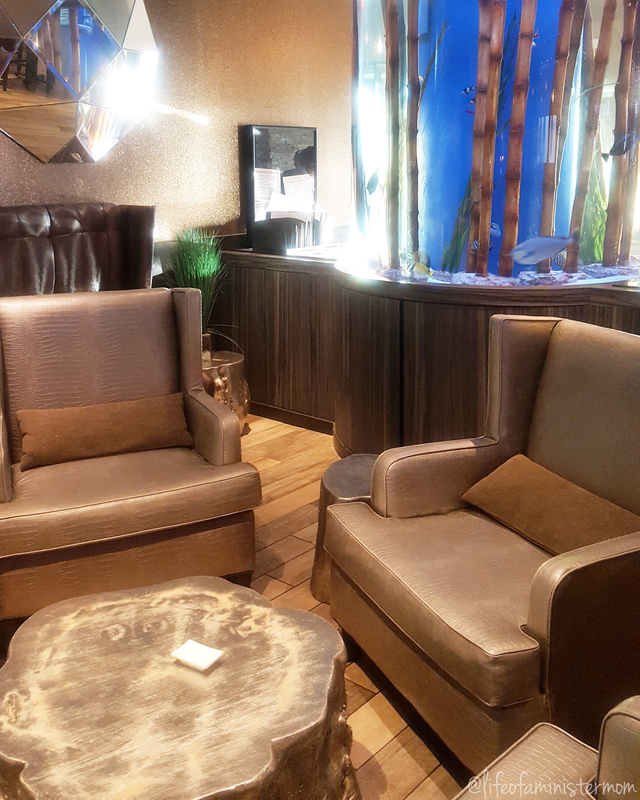 My husband kept admiring the fish tank, and I liked the many decorative details of the space. Even at 5:30 (see, old married couple dinner time, haha), the place was abuzz. We made reservations so there wasn’t a wait, and while we enjoyed our spot inside, they do have an outdoor patio we might try the next time we go. 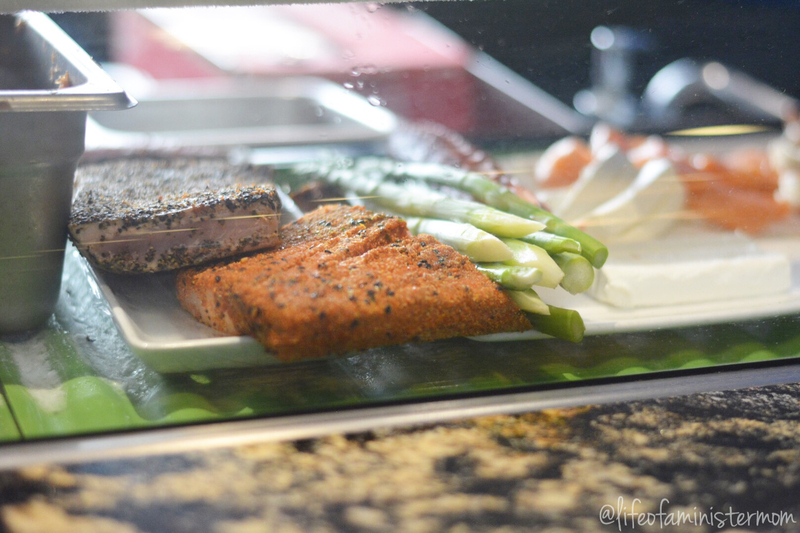 They have a kitchen and sushi bar, and one of the main draws for me was knowing that Kona Grill uses fresh ingredients made from scratch. The one menu item I’d heard about prior to our visit was their sushi. I knew I’d be trying some, and to my surprise, my hubby did too! Keep in mind that he has had sushi maybe 2 or 3 times in his life, so color me shocked when he even decided to choose the roll! 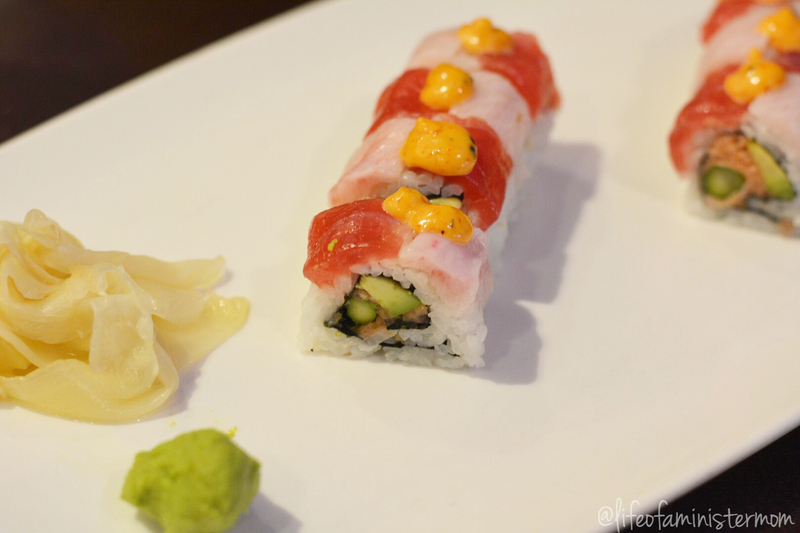 He selected the Checkerboard Roll with habanero tuna, avocado, asparagus, tuna, yellowtail, and spicy motoyaki sauce. It was an absolutely delicious starter with the right amount of kick!!! Don’t judge my chopstick form. It gets the job done! There were a plethora of rolls we wanted to try, but we knew we had to save room for our entrees. 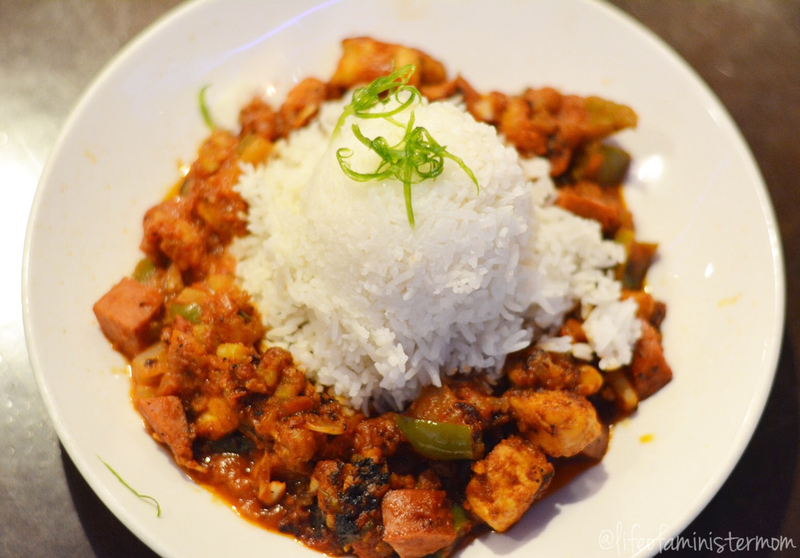 My husband ordered the jambalaya, and was generous enough to share a whole fork-full with me. Hehe. Seriously, this dish was packed with flavor and he loved every bite!! 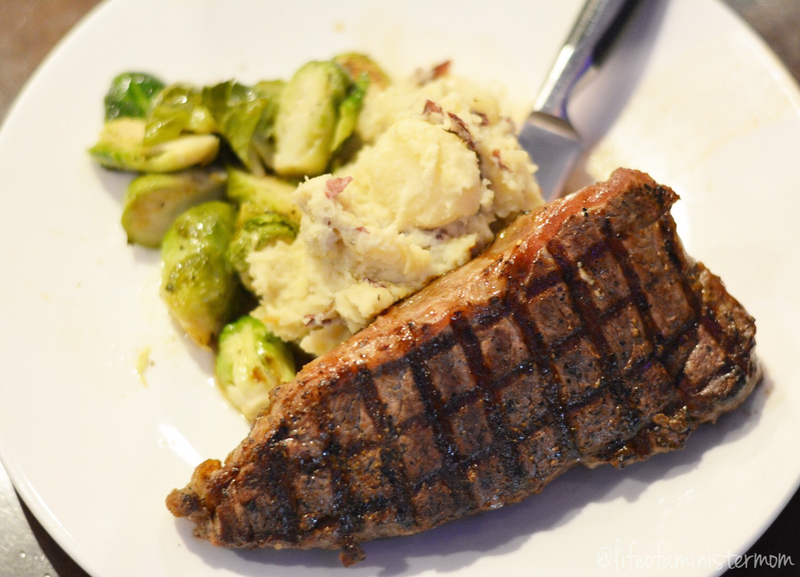 I went for the NY strip, and let me tell you; it did not disappoint!! 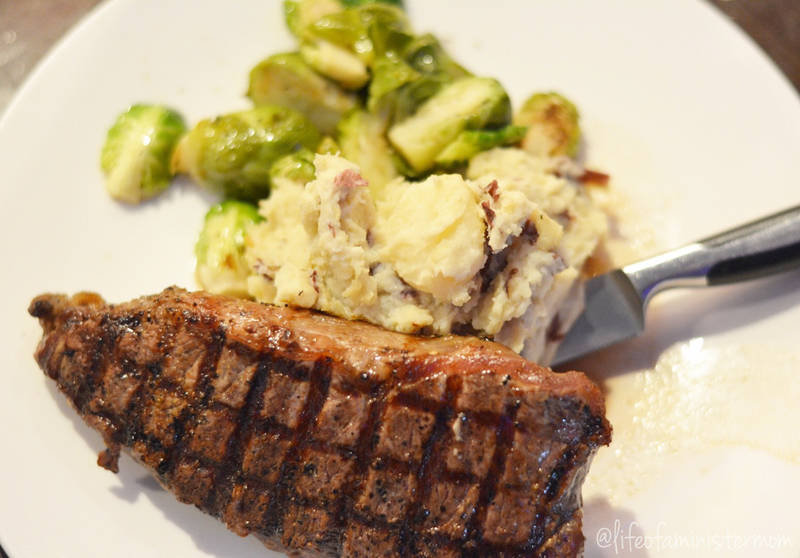 It was cooked to perfection (sorry folks, I can’t do rare or medium-rare), and the house mashed potatoes were very good. Everything was seasoned just right, which was disappointing only because we didn’t need to try one of Kona Grill’s 40+ made-from-scratch sauces they make daily. Aaaaaaand, I even ate all my vegetables! Yum! As you can see, the portions were extremely generous. We decided to eat half of our meal in order to save some room for dessert. Oh the delectable options continued!! 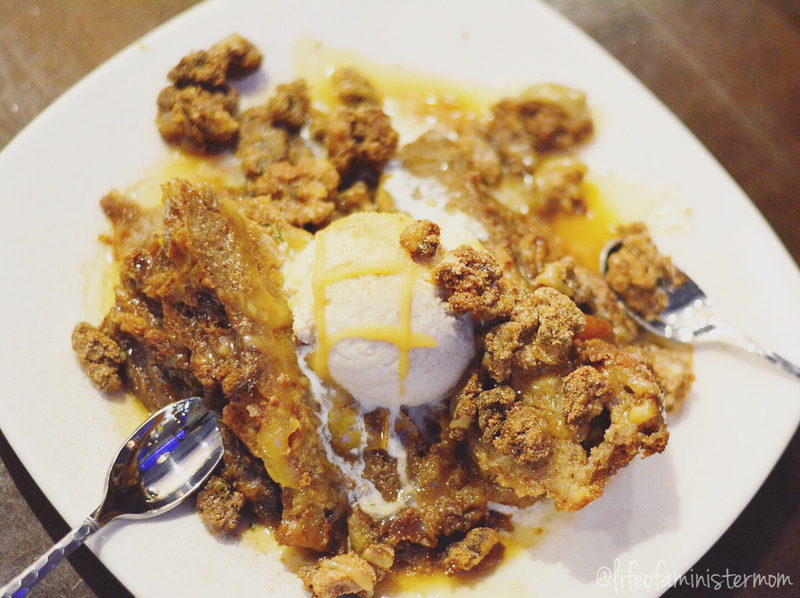 I was torn between the Spiced Apple Bread Pudding and the Passion Fruit Crème Brûlée. This is when our very sweet server told us that she’d already ordered a crème brûlée as a special treat for us and our anniversary!! She was so thoughtful and attentive throughout the night, and this was certainly the icing on the cake!! It was divine!! They both were!! 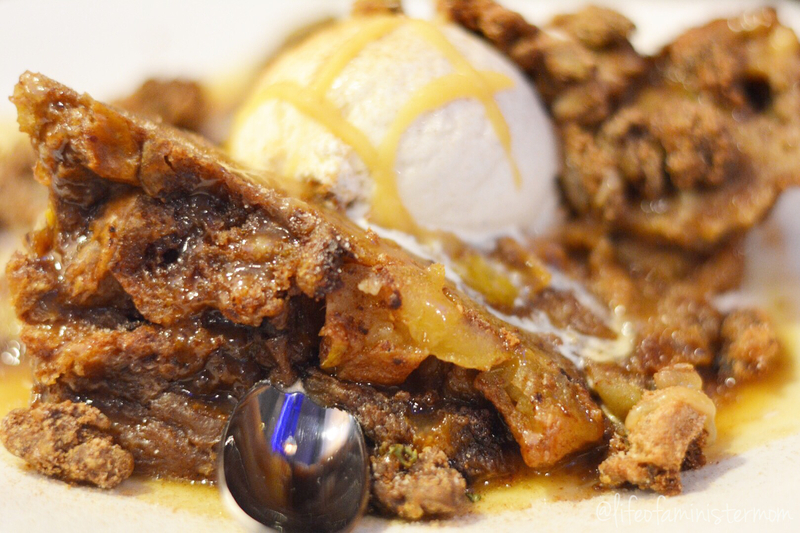 So scrumptious and delicious, like every bite of our entire meal!!! What a great (and filling) night it was!!! 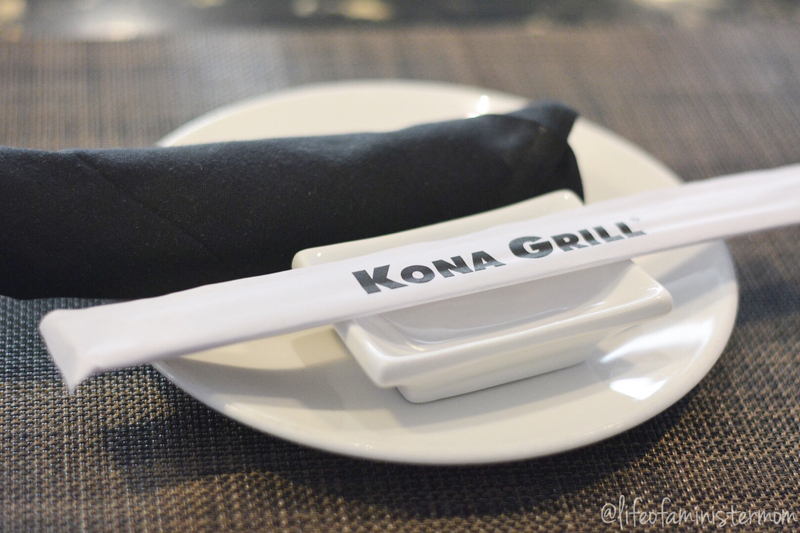 My love and I are so grateful for the positive experience we had at Kona Grill. 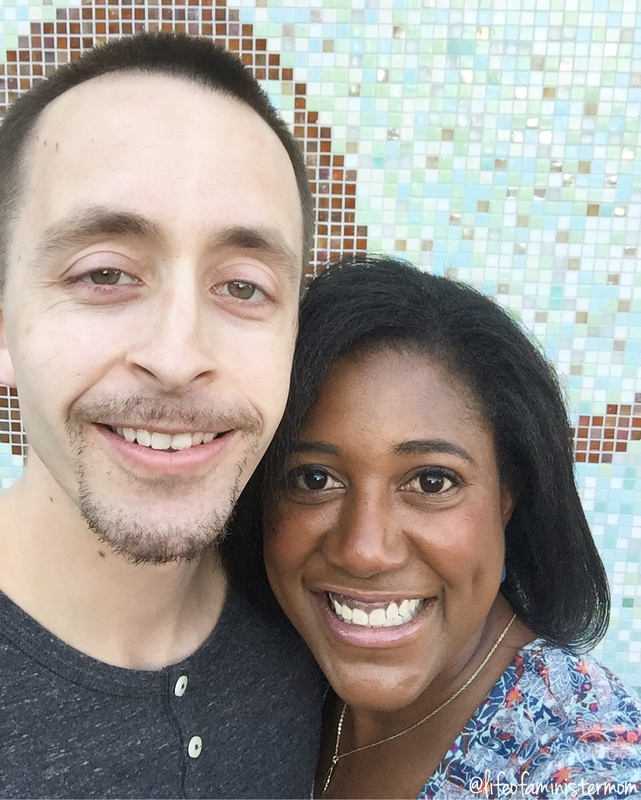 We celebrated our love with quality food and some very special time together!! 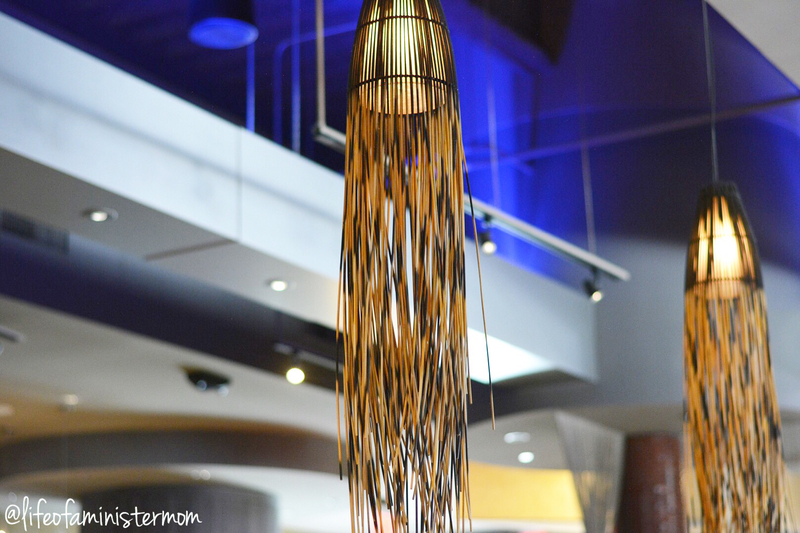 Have you been to Kona Grill before? Sign up here for your free appetizer, and be sure to tell me what you order when you go!! Happy Anniversary, looks like a very special way to celebrate! 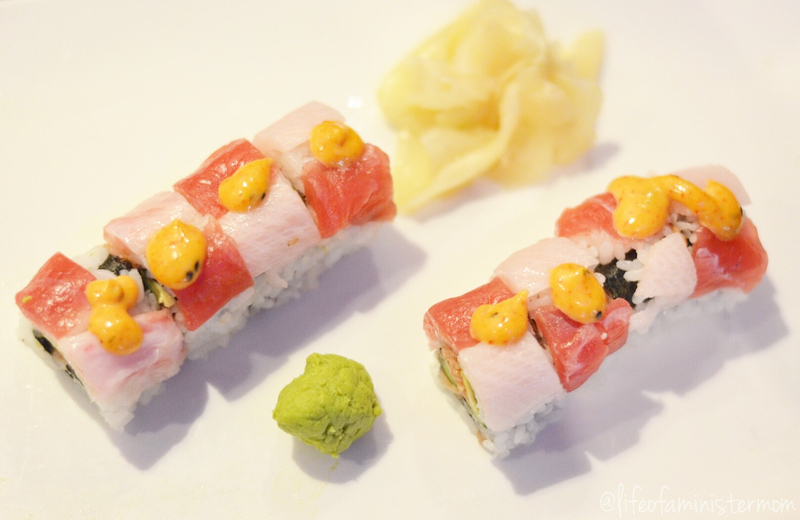 The checkerboard sushi was so pretty! It was pretty and delicious! Thank you so much Harmony!! Happy anniversary to you two love birds. Looks like a fun celebration! Lol!!!! We’re not REALLY old. Haha! Thanks!! We had a great time! 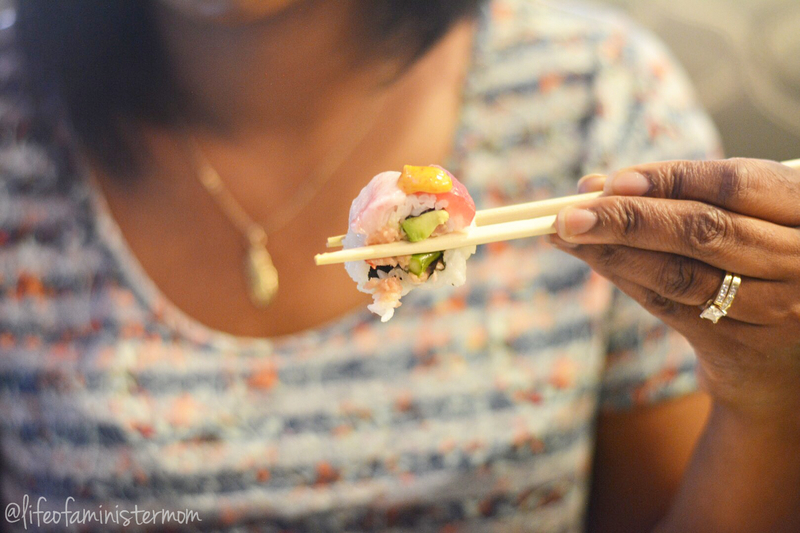 My husband loves sushi so he would be very happy here! They have so many great sushi options!!! The food looks amazing!! Glad y’all had a good anniversary dinner. Congrats on 7 years! 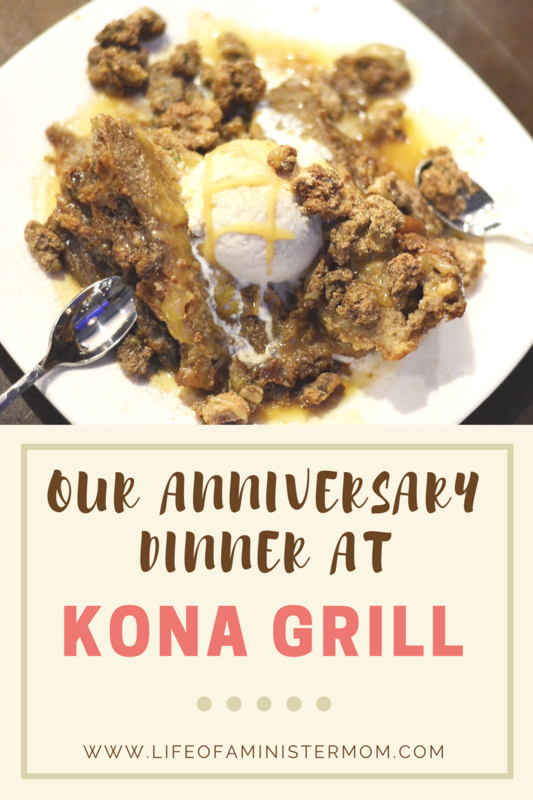 We love Kona Grill too! I adore their sushi and carrot cake! yum! Looks yummy! So glad you had a great time – Happy Anniversary! So happy you had a great time. We have one by us so we will have to give it a try. Thank you for sharing. Happy Anniversary!! Getting away is definitely not always easy, but as long as you get to spend some quality time together, that’s all that matters. 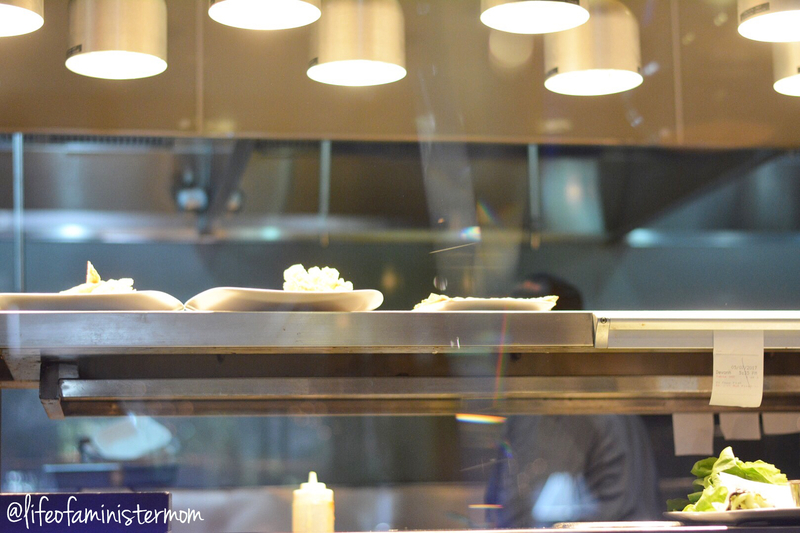 And it looks like you went to the perfect place, everything looks so yummy! Happy Anniversary! That food looks absolutely AMAZING! Happy Anniverary! So glad you had a nice date night with delicious food! Kona Grill sounds amazing and the food looks so good too! Maybe we’ll be lucky enough to get one where I live one day! This is a perfect anniversary dinner! Congrats on 7 years!!! Happy anniversary! We love Mona grill! Looks like you guys had such a great time. And the food can’t be beat! They have a great happy hour too! This looks so good! That food just looks so yummy! Happy Anniversary. I love following you guys and this marriage. 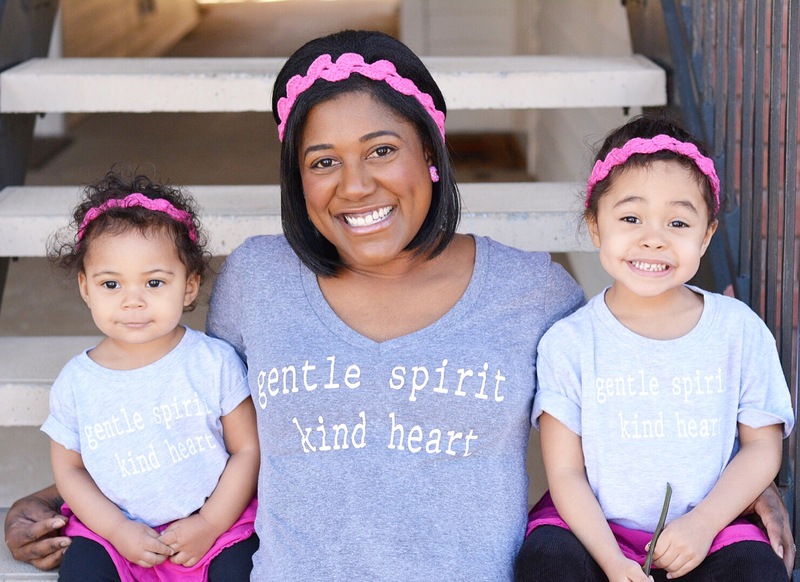 So strong and full of love. Happy Anniversary and again so jealous you got to eat at this place. Everything looks amazing and a must try. Yummm! Happy anniversary too! I want sushi and bread pudding now! Congratulations on 7 years! I love the plating of the food items. 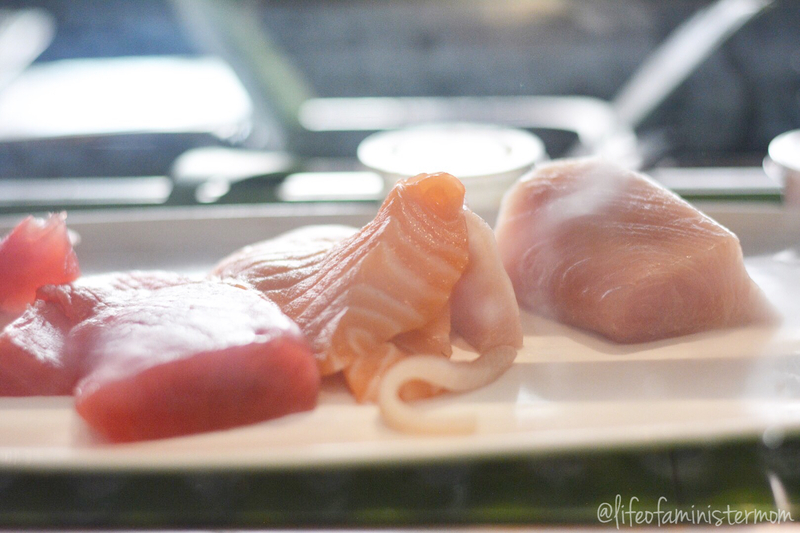 The sushi looked especially amazing! Yummmm everything sounds amazing! 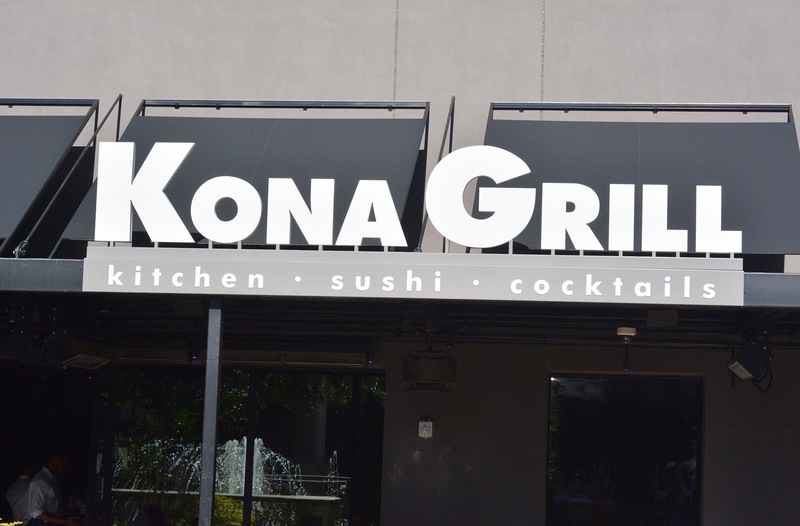 They just opened a Kona Grill here in Georgia so I gotta check it out! my mother-in-law goes all the time and says it’s incredible. I’m missing out for sure! Wow, this looks SOOOO good! I’ll have to check to see if we have any near us! Also, CONGRATS on 7 years! How exciting! do they have vegan options?! Well this all looks amazing! I’ve never been big on sushi but that even looks good! I wish we had one near us. Aww happy anniversary!! Our 8 year is in a couple of weeks! 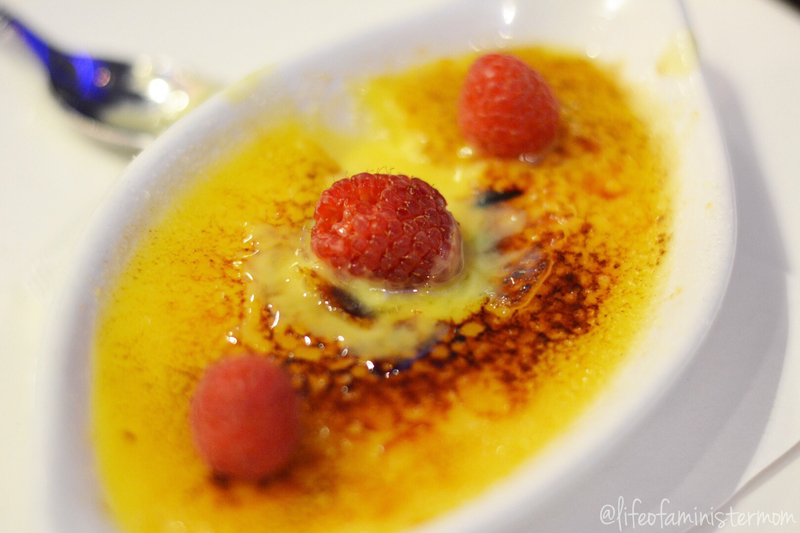 All of that looks so delish, that creme brulee was definitely calling my name! I LOVE Kona!! How fun and delicious! Happy Anniversary! You’ve got me wanting to go to Kona now! Yumm! So much fun! I love Kona! Looks like an amazing anniversary! Happy Anniversary! We don’t have one nearby, but it looks like a place we need to go if we see one!